Spot the difference, for the error. 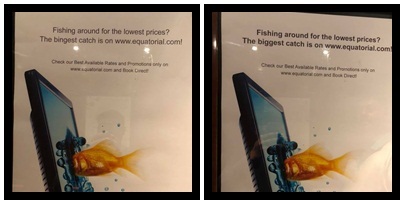 Seen at a hotel, before and after a complaint was made. And shouldn't it be: Check our best rates and promotions at www.nameofwebsite.com and book direct. Thanks Prof. Malachi Edwin for the feed.